Quality OK, Fit was off. off the rack if I take a 16 x 32 shirt it typically fits fine, except the neck, which for me is 18". This shirt was really large in the arms, and the classic fit was large for my 46" chest. 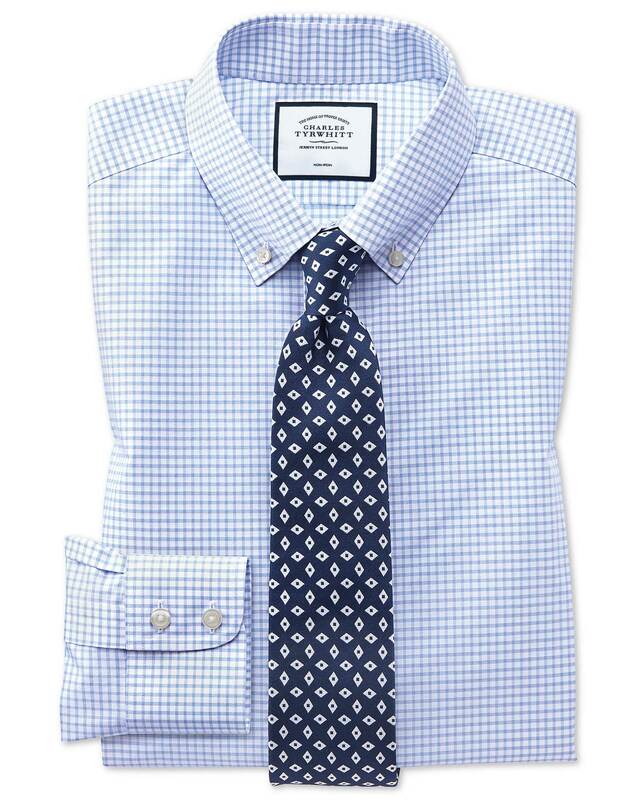 Response from Charles Tyrwhitt: While it's a real shame you were unable to get the perfect fit with us this time around, we sincerely appreciate you giving our shirts a try! We'd love to try and get you a better fit, however, so would welcome you to raise a return with us. Judging by your comments, the Slim Fit may well be more suitable as this will remove much of the excess 'bagginess' the Classic Fit offers. Please drop us an email to info@ctshirts.com if you require any assistance in completing a return. Delivery is a little show. This is the most conformable shirt I own. I love the shirts!! The size is true and fit great! Thank you!